One of my greatest weaknesses is stories of romance, or, even better, stories of romance and comedy (Love Actually? Notting Hill? Four Weddings and a Funeral? Yes, please), and Love, Rosie has both, and a brilliant combination of both, at that. The fact that the story takes you over a lifetime, rather than just looking at a year or so in the character's life, really means you can take the time to get to know all the characters and become attached to them, to understand them, to really feel like you've spent time with them. Consequently, the more emotional parts of the story really get to you, really make you feel the happiness, sadness and everything else. I felt like you really get to know the places in the story, as well as the characters, especially Ireland. You get a real feel for exploring the world, with all the travelling the characters do. 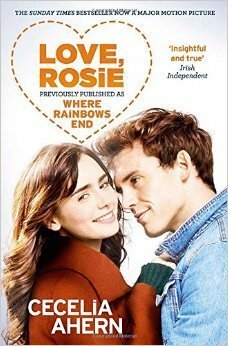 I really like it when you can travel the world through reading books and this book definitely has elements of that which add to its enjoyment, and there is definitely a lot to enjoy about Love, Rosie.